Skip harsh soaps and gently scrub away ground-in dirt and neutralize odors on hands with a paste of 3 parts baking soda to 1 part water or 3 parts baking soda with gentle liquid hand soap. Then rinse clean. Vinegar is amazing for your hair, but baking soda has its place in the shower too. Sprinkle a small amount of baking soda into your palm along with your favorite shampoo. Shampoo as usual and rinse thoroughly — baking soda helps remove the residue that styling products leave behind so your hair is cleaner and more manageable. For lustrous hair with more shine, keep brushes and combs clean. Remove natural oil build-up and hair product residue by soaking combs and brushes in a solution of 1 teaspoon of baking soda in a small basin of warm water. Rinse and allow to dry. 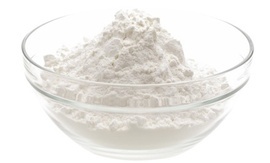 Add 1/2 cup of baking soda to your bath to neutralize acids on the skin and help wash away oil and perspiration. It also makes your skin feel very soft. Or just focus on soothing your feet. Dissolve 3 tablespoons of baking soda in a tub of warm water and soak feet. Gently scrub. Give yourself an invigorating facial and body scrub. Make a paste of 3 parts baking soda to 1 part water or apple cider vinegar. Rub in a gentle circular motion to exfoliate the skin. Rinse clean. This is gentle enough for daily use.